Spending a lifetime with the person you love the most is what is reflected by weddings. Weddings are happy events. With all the bouquets and themes of a wedding, it just spells L-O-V-E. 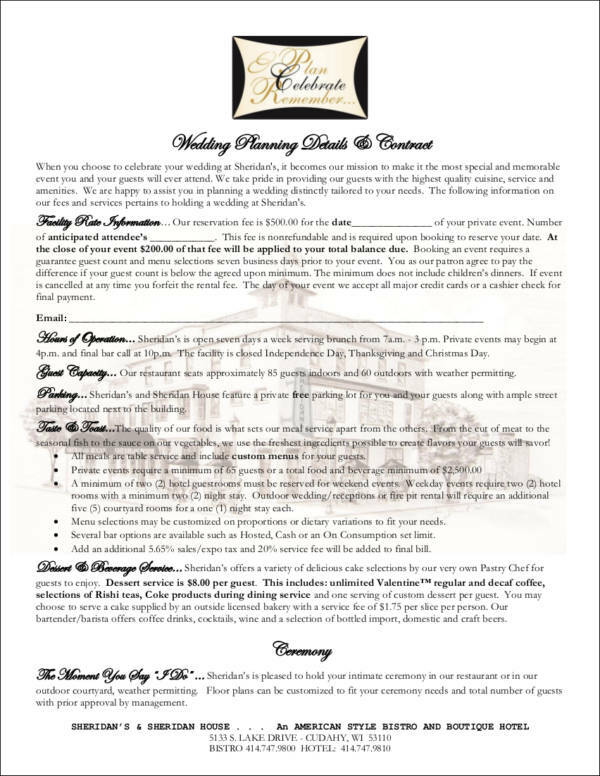 However, they need to be carefully planned and let us all face it—a wedding planning checklist is long and requires a very tedious process to complete each task. If you are a wedding planner, you are in luck! 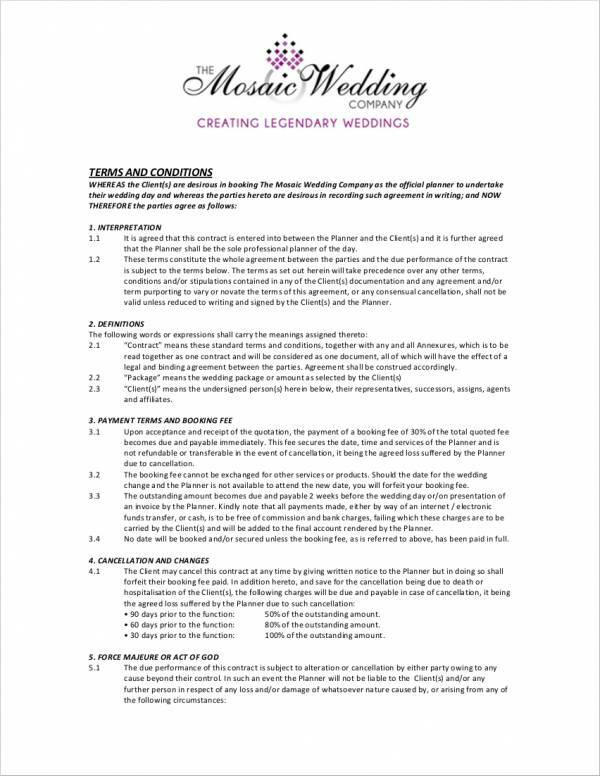 We would like to give you a few tips and information that is vital to a wedding planner contract. We also have contract samples in PDF that you can use as a reference for drafting your very own contract. This way, you know that everything with regards to dealing with the demands of the couple will go as smooth as possible. Read up! Before you make your own, you can check out a few sample contracts that are going to help you come up with your own. 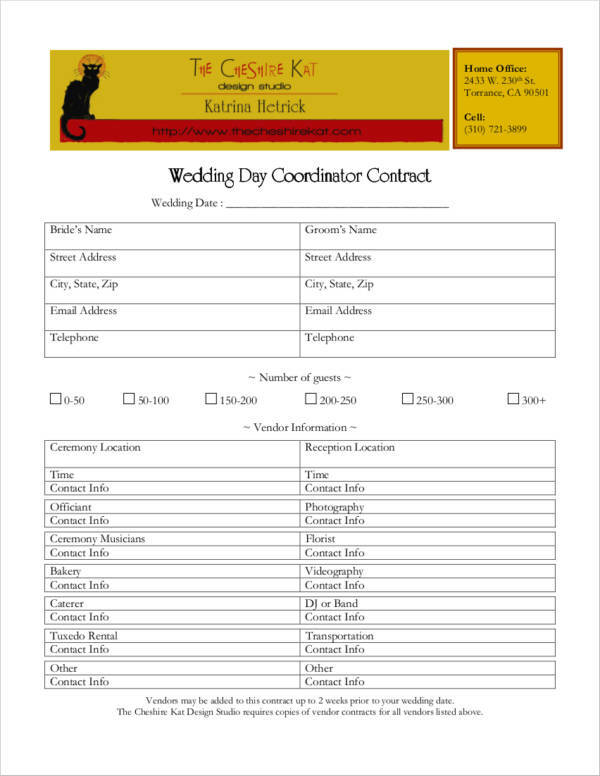 Once you have made all the necessary negotiations with the soon-to-be-wed couple, send the contract immediately within 24–48 hours. This way, you will be able to seal the deal with the couple and avoid having to be replaced by someone else. 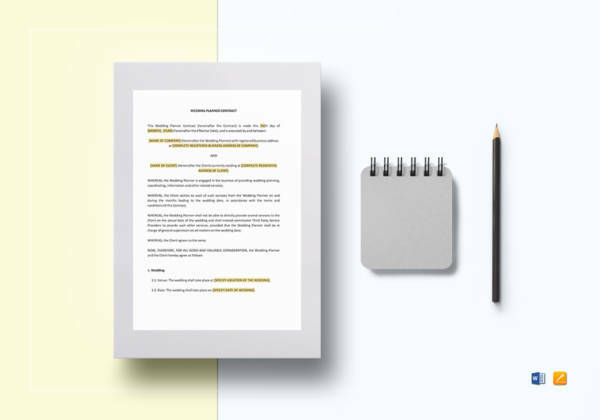 It would be a good idea to have a contract template in DOC or any Word Document (.docx or Pages) file format ready on your computer to ensure that everything will be easy to edit and easy to fill out all the necessary fields. Once you have edited and made all the corrections on your file, you can save it in PDF file format to ensure that the formatting will not change. This is especially true if you are sending the contract via email. Your cover letter will serve as your appreciation letter to the couple for trusting you and the services you provide. Ensure that you print both the contract and the cover letter on your company letterhead should you have one available. If not, print the documents in a nice, 20lb. paper. It will always be a good idea to ask an expert to review the contract you have in order to avoid any loopholes and errors. 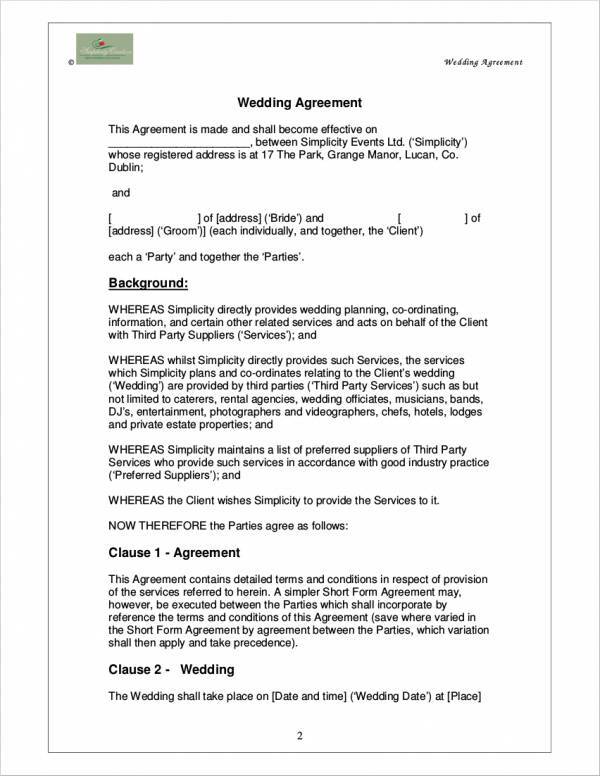 What to Include in a Wedding Planner Contract?